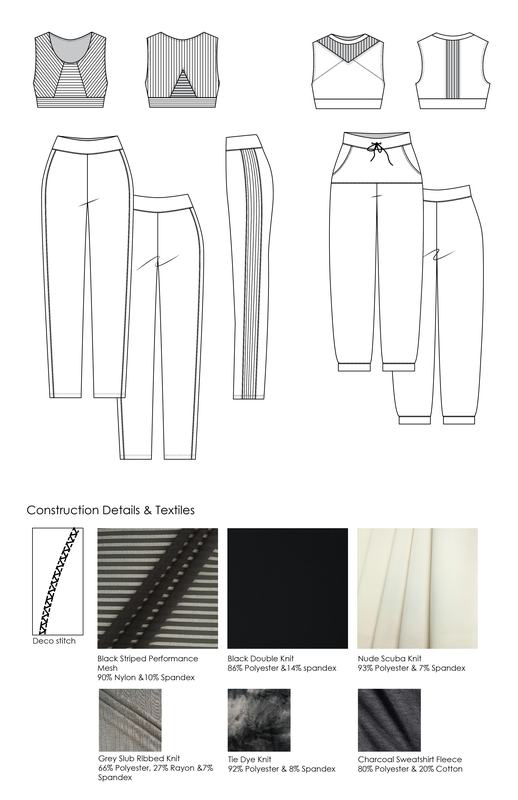 This activewear collection was inspired by the idea of moving forward with the certainty of structure and comfort. 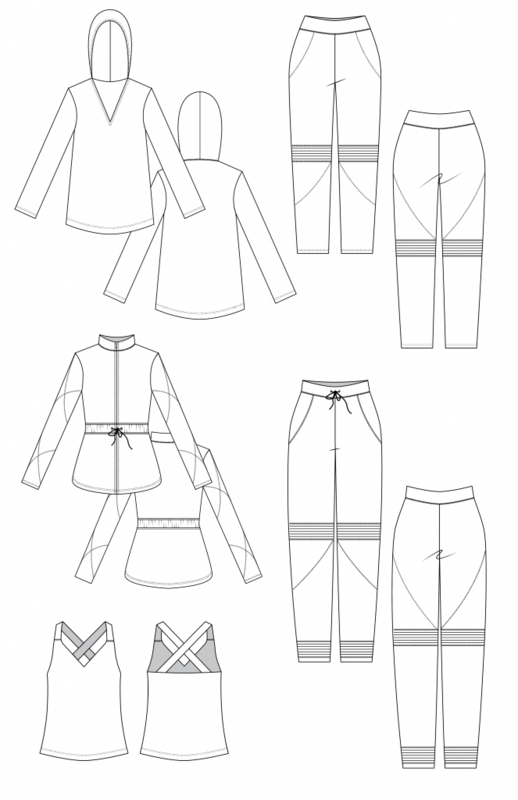 The research behind this collection was based on human trends rather than fashion trends. After studying different consumers, I found trends in their habits & tastes, then grouped that data to form an ideal target consumer – an avid adventurer who is in-touch with every moment. This collection is for someone who wants to keep moving forward, but also enjoys cuddling and focusing on the moment. She thrives on three key ideas – adaptability, reliability, and comfort – because she loves to stay busy AND have authentic interactions. 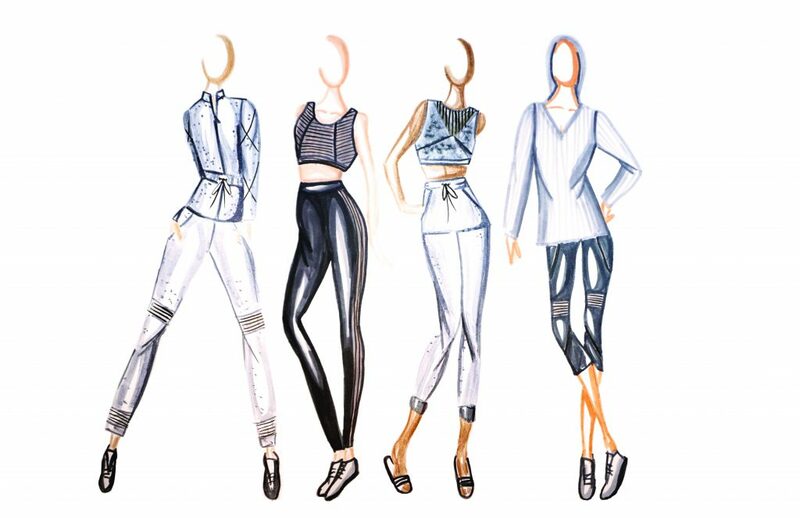 There are various pieces in the collection, from athleisure to high intensity, that can be mixed & matched to create unique combinations for the perfect situation. 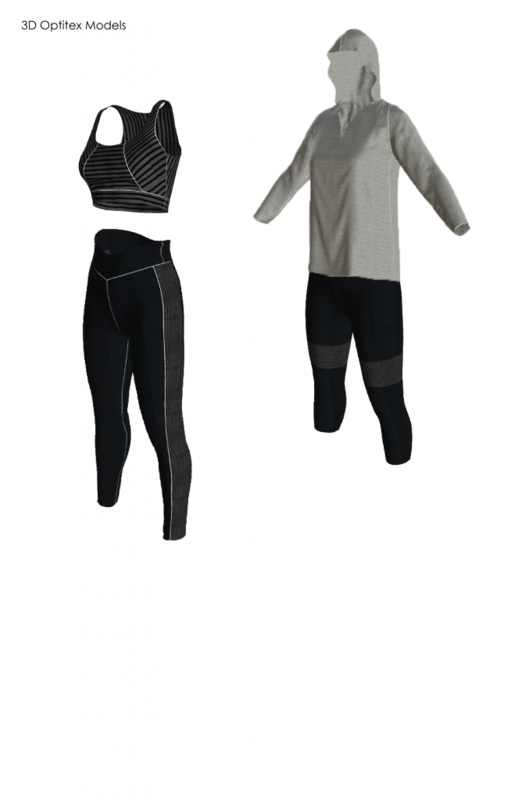 For example, the bra top was created with specific style lines to increase support during high intensity training, while the joggers include large pockets and soft fleece for warmth. Intentional muted tones were used throughout the collection to represent comfort and reliability. The mesh panels and functional style lines increase breathability and support which exemplifies adventure. This collection is adaptable to any situation because of the differing textiles and silhouettes throughout which can be mixed & matched.